While Samantha Lim is wary (and weary) of authoring ‘white saviour’ stories, word of Leisa Tyler and her enterprise, Weeds & More, piqued the writer’s interest. 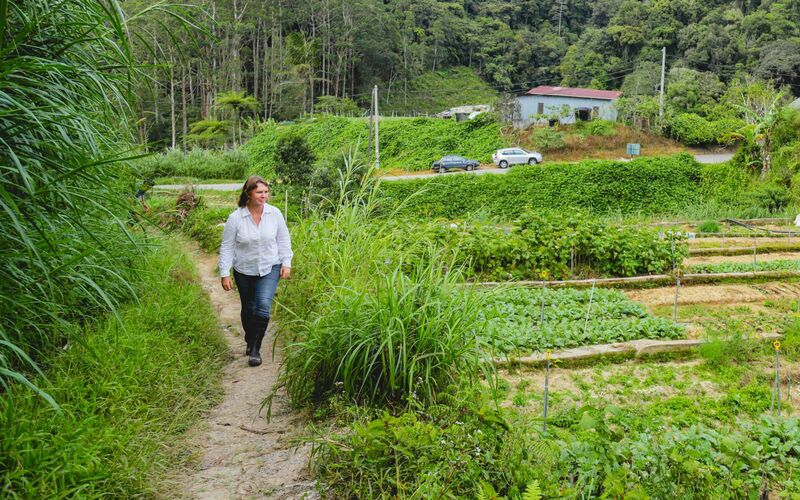 An outing with Leisa’s partners — local farmers in Cameron Highlands — verifies that her heart is in the right place. “If regional deliveries are cause for such pandemonium, what then of international export?” I ask. Blowing a raspberry, Leisa’s response says plenty. A great story Leisa loves to tell, and one that roped me in at our first meeting, details Weeds & More’s provenance. While working for The World’s 50 Best, Leisa made a gloomy discovery. She couldn’t quite fathom why so much of Singapore and Hong Kong’s produce was airfreighted from Australia, especially with Malaysia just next door. Old Mister Liew is lamenting many things. The lacklustre flavour of hydroponic plants, for one. Over-farming in Cameron Highlands also brings about sleepless nights, but what angers him most of all is a dearth of governmental support. “The government needs to do more more, but whoever spearheads the initiative needs to be someone with a vision,” agrees Leisa. Codes of conduct (or a lack of) count among Liew’s concerns. Infamous middle men who control 80 to 90 percent of Cameron Highland’s output take advantage of the fact that farmers are peddling perishable products. “But we are trying a new method,” says Liew with a smile – the first he’s cracked today. Weeds & More is that new gateway. “We operate a joint venture,” explains Leisa. "My partner (Dutch physicist Ewout Kemner) and I own the seeds and control the final product while the Liew family (Sunrise Organic) and another neighbouring farm (Hatiku) are contracted to grow specialty items for Weedy’s clients." Produce usually trades hands two to three before it arrives on supermarket shelves. Farmers end up getting a fraction of the profit, especially considering how much their produce is sold for, complains Leisa. We work directly with our customers just to cut out all of the nonsence. Excluding the middle man is also a sure-fire way to ensure that customers get the freshest products possible. “Instead of your vegetables going from here into a cold storage somewhere and then hanging out in somebody's warehouse, we pack it here and then the next person to open it is the chef. Nobody touches the produce in between. It’s still considered an unusual way to work, especially for luxury hotel chains with tall organisation structures, and it takes a certain kind of chef to want this, but our clients have been great so far,” says Leisa gratefully. You may know some of these chefs/clients, especially if you trawl through our T.Dining content: Darren Chin of Bref by DC and DC Restaurant; Daniel Yap of Gooddam; Sricharan Venkatesh of Nadodi; Tyson Gee of Atas Modern Malaysian Eatery, and the W Kuala Lumpur count among Weeds & More's customers, whereas in Singapore, their produce can be found at Andes by Aston, Fat Prince, FOC Restaurant, Nouri and The Ottomani. Forget ‘farm to fork.’ In Asia, we lack a ‘farm to fryer’ culture, even. If chefs aren’t intimate with their produce, how can they be expected to educate their customers? “In Australia and in Europe, it’s pretty standard – I visit my chef-friends’ restaurants and they’ve all got their own gardens in their backyards. Or they have a collective that grows produce for them,” illuminates Leisa. “Save for Japan, that just doesn’t happen in Asia. People ticks little boxes on a little sheet of paper to have their produce flown in from Holland or France. I don’t know…” The fennel flower she’d been twiddling in her fingers is now still. “There’s something totally wrong about that. It’s not just the carbon miles, but the total misunderstanding about where food comes from. We used to throw parties up here so chefs from Singapore could bring their teams, and I remember one particular guy; he’d never ever seen broccoli – in the ground, that is – and it was almost an epiphany for him. I think that seeing food from the source changes a chef’s attitude towards work, it changes their attitude towards food, and of course, they pass that on to the guests." What’s a partnership without the occasional dispute? For Leisa and John, theirs mostly revolve around produce. “She tries to add more variety to the farm,” pouts John. “We don’t really agree on that.” *At the time of print, Sunrise Organic was growing 45 kinds of produce. “About 800 to 900 grams. Nasturtium, fennel, dill, brassica, French marigold, wild sage or lantana...” rattles off John, helping us understand where the “and more” in Weeds & More stems from.